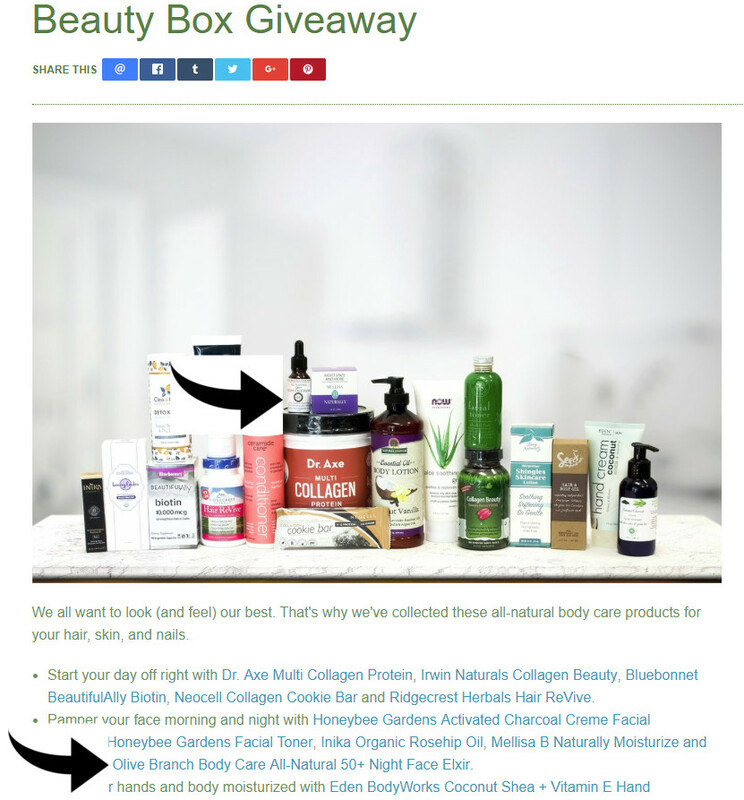 TASTEFORLIFE.COM has chosen our 50+ Night Face Elixir (skin 50+ & irritated) as one of their Beauty Box Giveaway's! 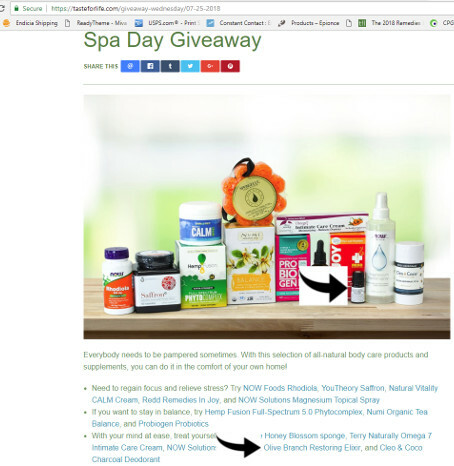 TASTEFORLIFE.COM has chosen our Restoring Elixir as one of their Spa Day Giveaways! "Your products truly are awesome!" Keene, NH—Remedies Announces its 2018 Body Care Award Winners! Sorting through the multitude of body care products on the market can be overwhelming, to say the least. Some that sound beneficial turn out to be loaded with not-so-healthy ingredients. Others simply don’t deliver on the promises they make. Staff members and colleagues have spent weeks testing some truly great products. "We honestly get thousands of products submitted for these awards – just wanted you to know your Lift, Tighten and Contour Gel beat out a ton of larger companies (though I can’t tell you who they are)…just want you to know." We were so excited to be asked to be one of the top 15 All-Natural items featured in 'Beyond the Acorn' Magazine! Anti-Acne and Restoring Face Elixir This facial serum reduces inflammation and restores skin’s natural pH levels. Essential oils wipe out bacteria, help prevent scarring and calm the complexion. Say hello to this facial elixir and bye-bye to blemishes. What's the best way to keep spotless skin? The secret is to use mild natural cosmetics for the skin. Natural skin products not only help to get rid of blemishes and redness, but also protect the skin. Also, the good news is that there is no side effect for long term use of natural products. If you used a wide variety of skin care products to manage skin problems and if you did not see much effect, let's resolve that problem by using natural products to reduce skin irritation and obtain healthy skin. Olive Branch Natural Body Care for Sensitive Skin For acne, the skin condition can become worse depending on seasonal changes. In particular, if you have oily skin, you definitely need special care in order to avoid acne by using mild natural skin care products. Many people decide to receive short-term treatment, such as injections or laser treatment for skin problems. However, this does not help much for the long-term skin care to calm the situation. Therefore, it is the best to use mild natural skin care products every day to achieve great effect. Olive Branch Natural Body Care products have no skin irritation and they are known for protecting the skin while controlling acne or blemishes. 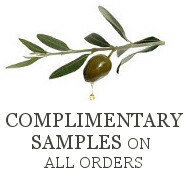 Olive Branch Natural Body Care is produced in Washington State and their products are devoted to restoration of the skin. Specially, hand-crafted face & body acre products are made with pure natural ingredients and very popular for their performance. 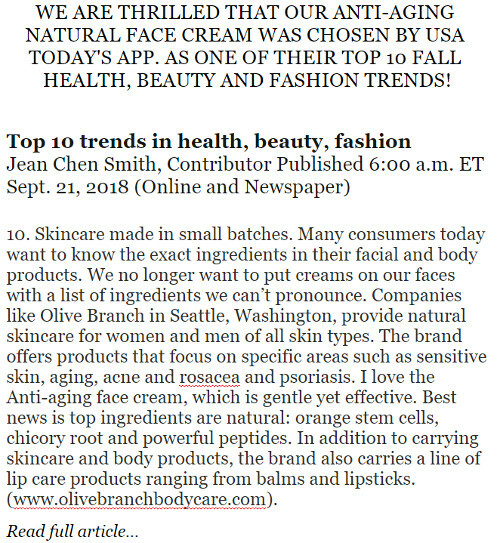 The Olive Branch Natural Body Care also has anti-aging, acne, body, and lip products and do not contain artificial colors, artificial fragrances, and preservatives. The entire product line can be shipped in the United States, and free samples will be provided upon ordering.